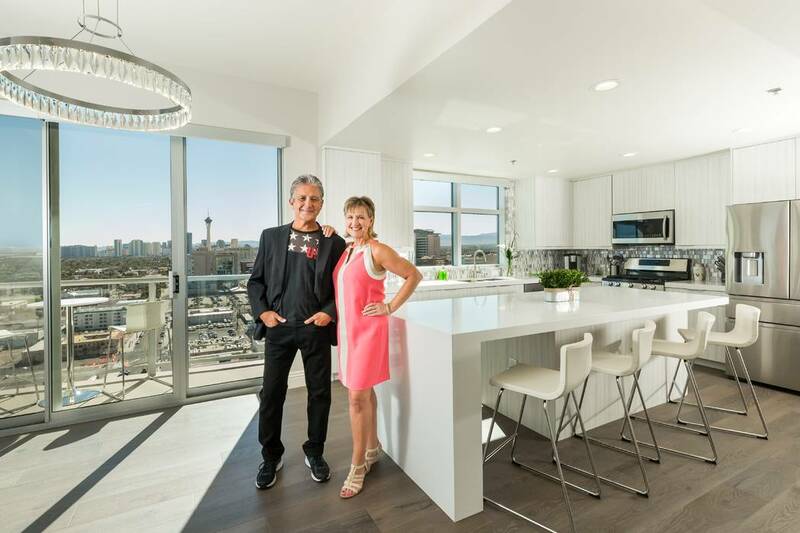 When former banking executives John and Robin Stephan began exploring where they might want to retire and enjoy their golden years, Las Vegas immediately made it to the top of the list. The Southern California couple, who frequently visited the city as tourists, were drawn to the Entertainment Capital of the World for many reasons, including cost of living, quality of life and the city’s vibrancy. 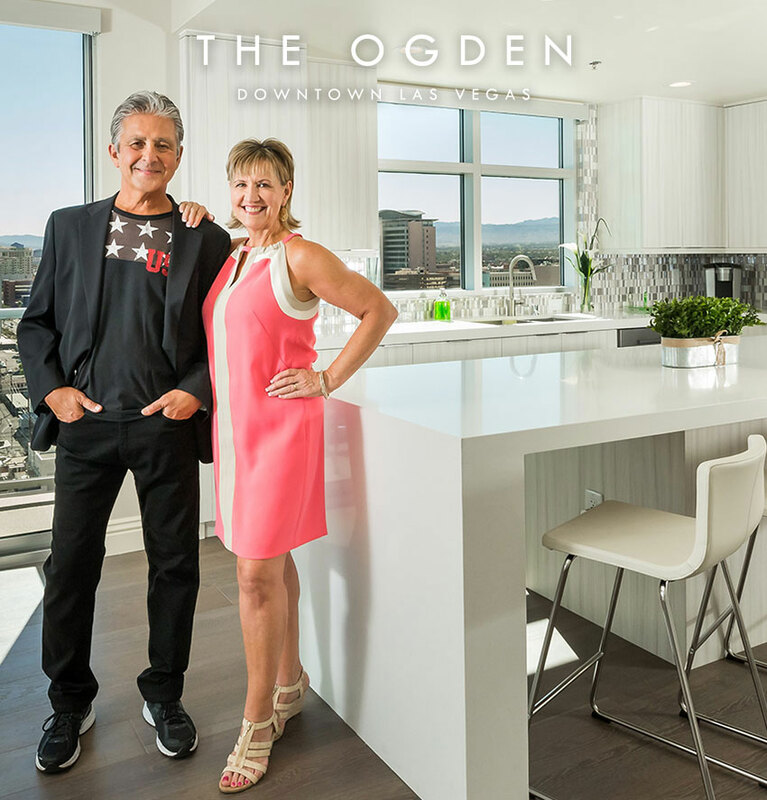 With a home wish list that included culture, diversity, walkability and a dynamic social network, nothing fit the bill quite like The Ogden, a 21-story, high-rise condominium tower in the heart of downtown Las Vegas. They are now proud homeowners of part of the Ogden’s Premier Collection, a select number of larger, luxurious homes with upgraded appointments such as Daltile polished quartz kitchen and bath countertops, kitchen and bath cabinetry by Wellborn Cabinets, luxury hardwood and porcelain tile flooring by Mohawk, Whirlpool wine coolers and Samsung stainless-steel appliances. Homebuyers considering a dream home in the sky can visit The Ogden this weekend for a special open house featuring the Premier Collection from 10 a.m. to 5 p.m. Saturday and noon to 5 p.m. Oct. 14. The open house includes prize drawings. The couple leads a very active lifestyle, walking at least five miles every day. And the vibrant downtown Las Vegas scene and multitude of food and drink offerings have made their daily strolls even more fun and delicious. They’ve enjoyed trying out restaurants and meeting new people, many of whom have become their friends over the months. “We can’t say enough about the concierge and security team at The Ogden. Everyone has been extremely welcoming and genuine, making our relocation to a new state so easy. We’ve had a lot of mail and larger items delivered to our residence since we moved into the large The Goodman floor plan in May. The concierge has always been so helpful in accepting them and ensuring our deliveries made their way up to our home safely, even when we (were not) home. The staff really goes out of their way to make you feel like more than just a resident. You’re part of a special family made up of everyone who calls The Ogden home,” Robin Stephan said. All Ogden residents enjoy the exceptional benefit of full-service concierge. The friendly and knowledgeable concierge team is happy to take care of errands, including receiving packages, dropping off and picking up residents’ dry cleaning, flower and gift ordering, making dinner reservations, booking nightlife accommodations and booking show tickets. Other unmatched amenities include 24-hour security, fitness center, rooftop pool, Sky Deck with summer kitchen, social lounge and a lifestyle director who plans an array of resident events, from cocktail and movie outings to brunches and trivia night.